KBA Land clearing is a company dedicated to the highest level of service. We are a family owned venture and as such we bring the traditional values of respect, hard work and professionalism to every job we undertake, from the smallest to the biggest. KBA Land Clearing is the preferred choice for a wide range of services including brush and tree removal, construction site preparation, stump removal, storm damage clean-up and utility easement. We also specialize in agricultural clearing including pasture clearing, vegetation clearing and biomass incorporation. Through professionalism, respect and hard work we always add value to clients through efficiency and high standards with our adherence to regulation at all times and our ethical approach to the environment, Our motto is, “Whatever your clearing need, we will do it to the highest standard”. We understand that our clients are often subject to strict deadlines so we work as quickly and efficiently as possible. We have the most advanced mulching machinery available, which allows for faster clearing. Once we understand your requirements, we set about working to fulfill them to the letter. We understand that land clearing professionals have legal and ethical responsibilities when it comes to clearing certain areas. With our advanced mulching equipment, we are able to remove exactly what vegetation needs to be cleared, not simply everything in sight. If you need advice On Land Clearing regulations, KBA Land Clearing is standing by ready to help. 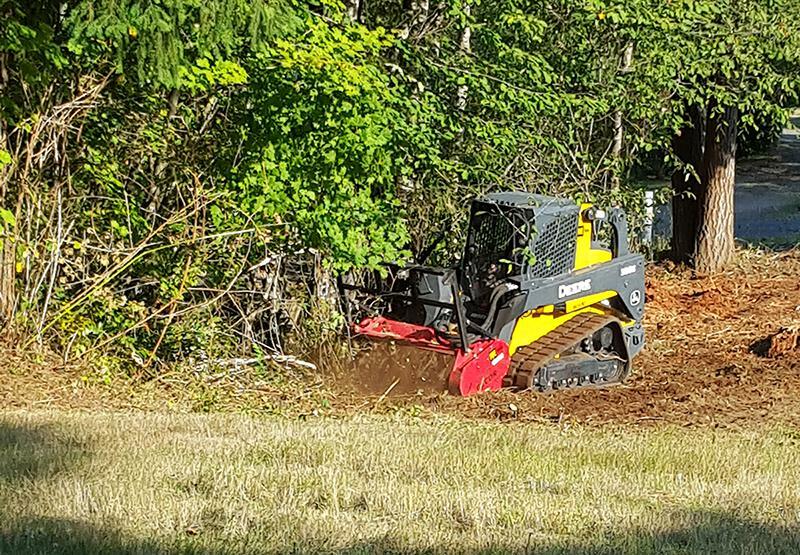 We pride ourselves on being at the forefront of innovation in the land clearing industry. This is why we use the latest mulching machines for enhanced efficiency and greater environmental sensitivity. It is the reason we place recycling as a priority and offer biomass conversion. You can rest assured we have the latest machinery, equipment and techniques required to complete the job according to your specifications and deadlines. We provide the very best land clearing solutions by combining the most modern techniques with an old fashioned worth ethic.